U.S. senator from New Jersey announces presidential run. He once went on a 10-day hunger strike, sleeping outside in a tent. He kept the budget of a typical New Jersey food-stamp recipient for a week, spending less than $30 on food. He carried a woman out of a burning building. He helped shovel a 65-year-old man’s driveway. He rescued a freezing dog. What’s the next herculean task Booker will complete on the presidential campaign trail now that he officially announced his intentions today? 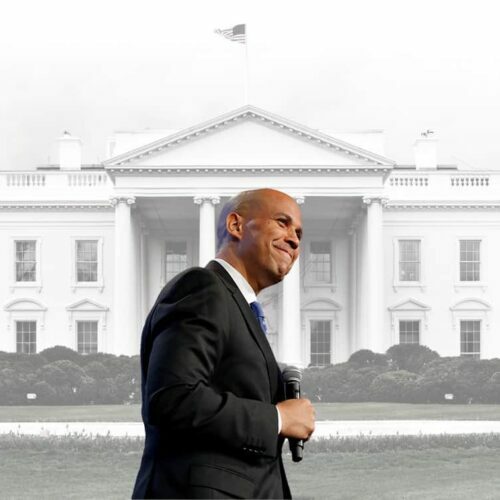 At 49 years old, Booker is on the younger end of the slew of 2020 presidential candidates and potential candidates. But he doesn’t lack years in elected office: The first black U.S. senator from New Jersey — and unrelatedly, the self-proclaimed first vegan senator — has served in the U.S. Senate since 2013 and sits on the powerful Judiciary Committee. Prior to his election to the U.S. Senate, he was the mayor of Newark, New Jersey, from 2006 to 2013. Before that, voters elected Booker to the Newark City Council when he was 29 years old. Booker already has more than $4.1 million in the bank as of Dec. 31. A newly-signed New Jersey state law will also allow him to run for president and the U.S. Senate at the same time, if he chooses. Critics point to Booker’s popularity with Wall Street: From 2013 to 2014, when Booker ran in both a special and a general U.S. Senate election, he brought in $2.2 million from the securities and investment industry, more than any other senator that cycle, according to OpenSecrets.org data. From 2017 to late 2018, he fell lower on the list, with $439,000 from Wall Street workers and PACs. He also drew flack in the 2012 presidential election for saying the Obama campaign’s attacks on Mitt Romney’s Bain Capital were “nauseating.” “As far as that stuff, I’d have to say from a very personal level, I’m not about to sit here and indict private equity,” Booker said. Booker does, however, often vote against Wall Street interests. In February 2018, Booker announced he would no longer accept corporate PAC contributions, one of now seven senators to make such a pledge. The word “corporate” is key: Booker has since taken donations from the PACs of membership organizations and unions. In his campaign finance disclosure report covering July through September, he listed $9,225 received from a handful of PACs, including those connected to the Transport Workers Union, National Air Traffic Controllers and Environment America Voter Action group. Booker has also already raised corporate PAC money for his 2020 Senate reelection campaign — and he can transfer all that cash to his presidential campaign effort: An analysis by NJ Advance Media found that two-thirds of the $505,000 in PAC donations Booker received came from corporate committees from January 2015 to January 2018. Booker’s January 2017 vote opposing a symbolic measure to allow prescription drug imports from Canada faced backlash, especially with supporters of Sen. Bernie Sanders, who backed the amendment. Booker was one of 13 Democrats that voted no, saying the measure didn’t guarantee the safety of the imported drugs. (He later teamed up with Sanders on new drug import legislation.) New Jersey is home to many large pharmaceutical companies, such as Johnson & Johnson, and Booker has received large donations from the industry: During his 2013 and 2014 campaigns, Booker took in almost $330,000 from pharmaceutical company PACs and employees, the second-most of any congressional candidate behind Sen. Mitch McConnell, R-Ky.
Booker’s net worth (not including the value of his residence) is between $600,000 and $1.3 million, according to his 2017 Senate personal financial disclosure filing. 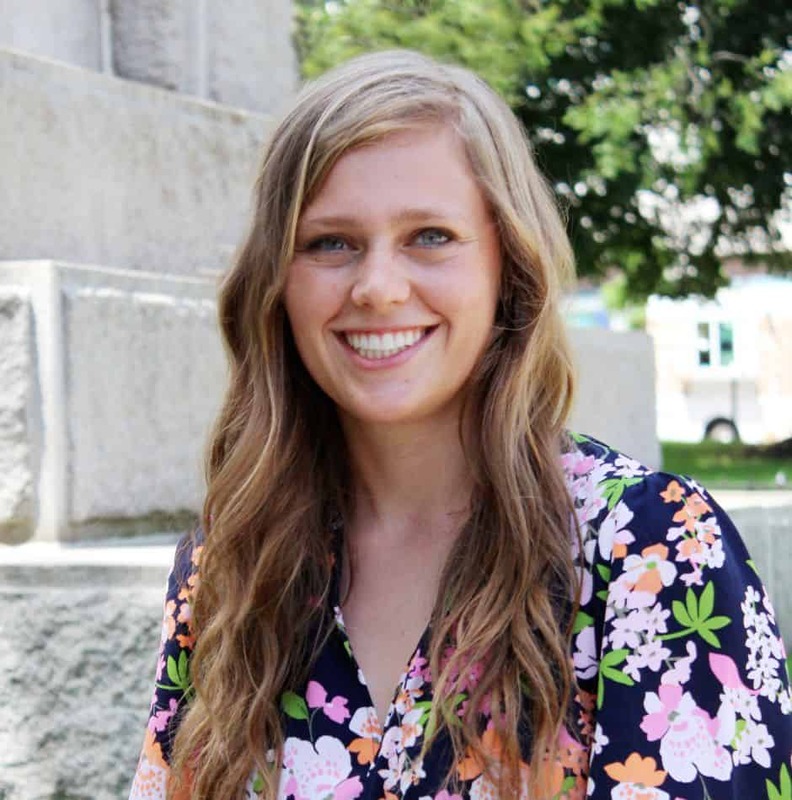 Booker’s investments include a mixture of bank accounts and retirement plans. 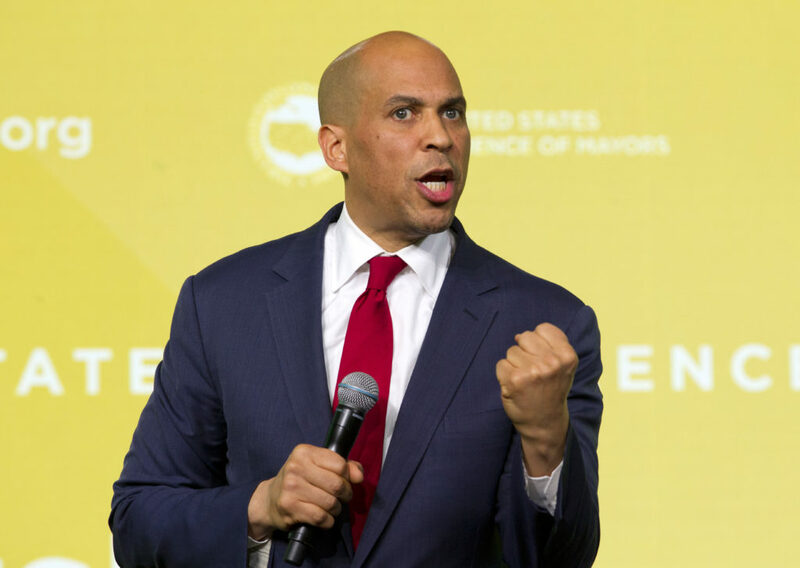 He also received a $325,000 advance from Penguin Random House for his book, “United.” Booker’s personal finances are more bland than they used to be: In 2014, he sold off stock holdings in big name companies such as Apple, Amazon, Netflix and Nike. In March 2012, Booker co-founded a video curation startup called Waywire, which counted Oprah Winfrey, ex-Google CEO Eric Schmidt and LinkedIn CEO Jeff Weiner as investors. He reported he had an interest of between $1 million and $5 million in the company — before stepping down from the board and donating his shares to charity in September 2013. His campaign said in 2013 Booker gave to charities such as the American Cancer Society, the AIDS Resource Foundation for Children in Newark and a charter school founded by his brother. The company received criticism for having 15-year-old Andrew Zucker, the son of CNN President Jeff Zucker, on its advisory board, as well as giving Andrew Zucker stock options. Video startup Magnify acquired Waywire in October 2013. In 2014, Booker was backed by a super PAC called the Mobilization Project. It spent $532,000 supporting him, and donors included Edward Nicoll, cofounder of Structural Wealth Management LLC ($137,000), mattress maven Michael Fux ($100,000) and billionaire hedge fund manager Seth Klarman ($100,000). Former Booker donor and ally Linda Watkins Brashear was sentenced to eight years in federal prison for her involvement in a bribery scheme while leading the now-shuttered Newark Watershed Conservation and Development Corp. at a time when Booker, as mayor of Newark, was also chairman of the development corporation’s board. Brashear admitted to doling out $1 million worth of contracts to family and friends in exchange for bribes. Booker and his lawyers said he was not aware of the kickback scheme and noted he never attended a meeting of the agency. Last year, a federal judge dismissed a lawsuit brought by the agency’s trustees against Booker. Cory Booker is a very volitile man prone to demonic anger and rage. He was called Spartacus the demon. During the Kavanaugh hearings last September 2018, Cory Booker was ready to tear him up in a rage.